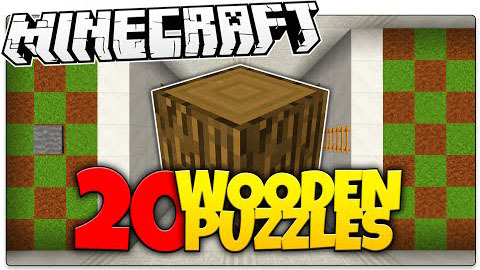 Wooden Puzzles Map adds 20 wooden puzzles and each of them requires a different way of thinking and a different use for the block. You will have to use wood to your advantage. Whether you will be smelting, burning, crafting, mining, trading and building, all twenty puzzles will require you to think outside the box to solve.